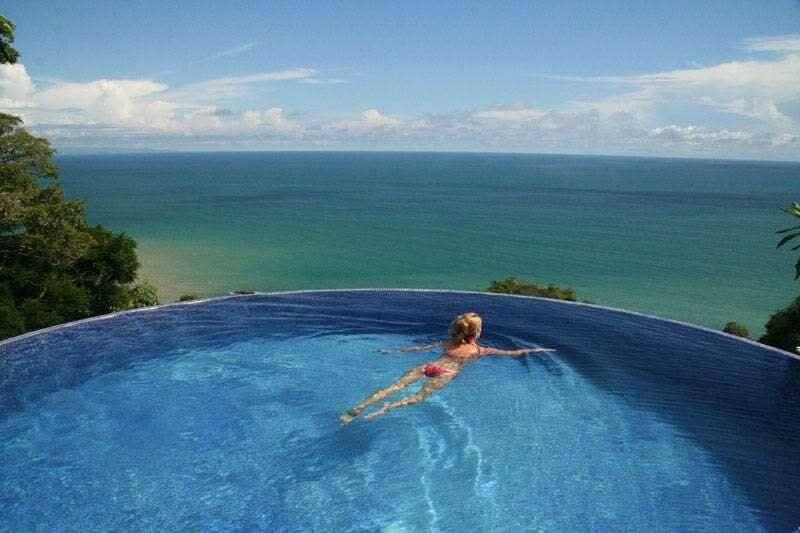 Our infinity edge pool is the most spectacular in the Montezuma-Malpais-Santa Teresa area of Costa Rica. It’s salt water is great for the skin, without the noxious fumes of regular chlorine pools. 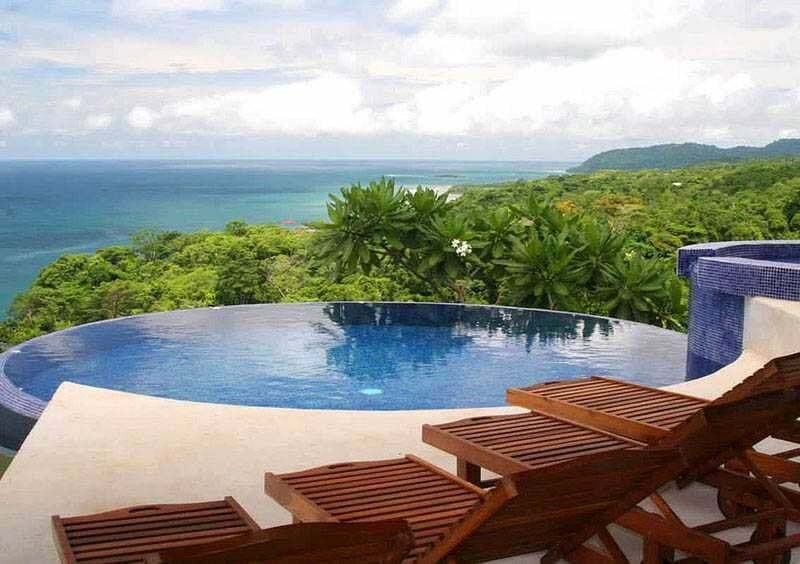 It has 270 degree views of the ocean, the Nicoya peninsula, and you can see down the coast in both directions, as well as the waves in front. We often see whales in the water below us. 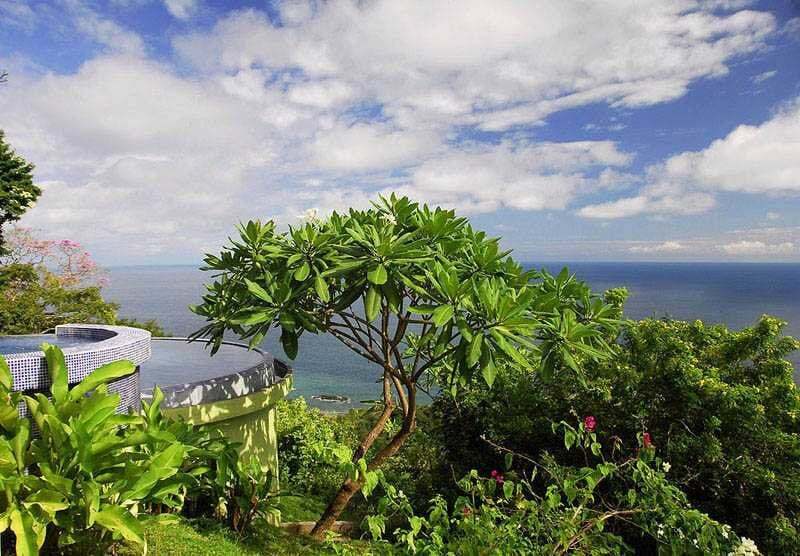 You can hear both the nearby Montezuma waterfall, and the waves crashing on the beach below. 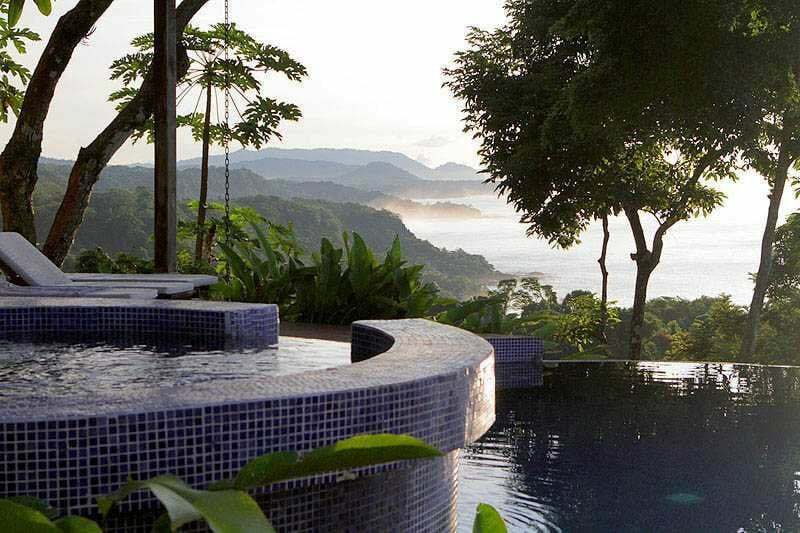 Suffice to say that our pool will be one of the highlights of your stay in Costa Rica. 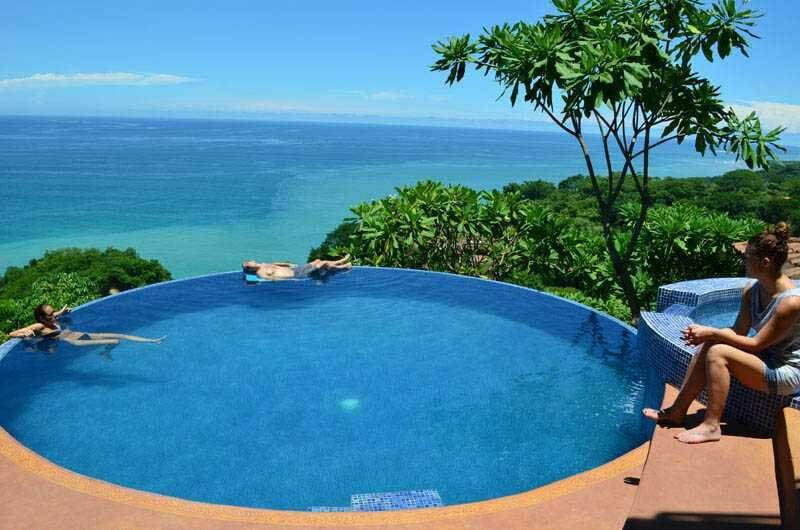 Our beautiful swimming pool design has an ‘infinity edge’ connecting it with the sky and ocean. A group of women from a yoga retreat, and their teacher posed for this photo on the edge of our pool. Our pool is surrounded by ‘florblanca’ trees. These are the flowers that Hawaiians use to make their leis. The tree is native to Central America and was brought to Hawaii by Europeans. Some of our guests hanging out at Anamaya’s pool. The warm tropical weather keeps the pool at a nice temperature all year without artificial heating. The smaller pool has a waterfall that spills into the larger one. 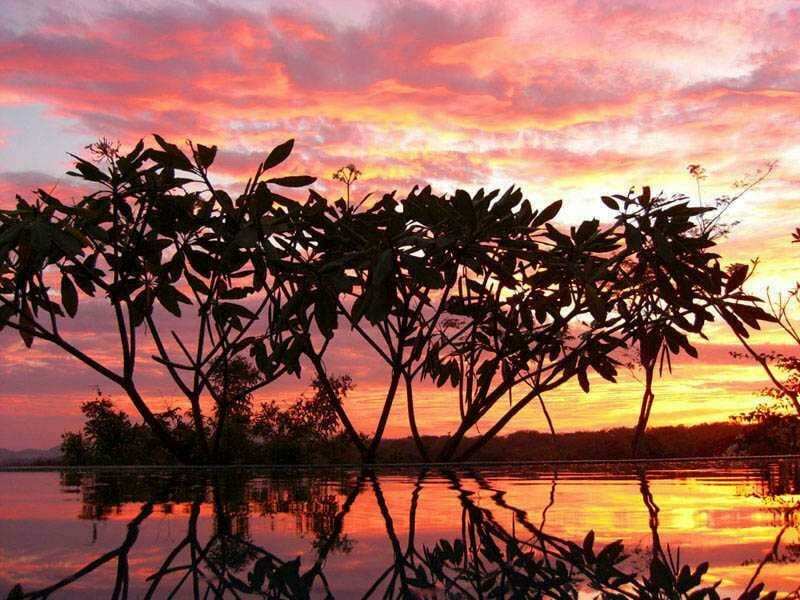 Our salt water pool reflecting a gorgeous Costa Rica sunset. One of aerial students, Monica Liu, who came to take a retreat hosted by teacher Ana Prada. Our pool, looking north along the coast over Montezuma. From here you can see the national park at Playa Grande, and Tortuga Island.